Halloumi cheese has its origin in Cyprus, my country. My grandmother used to make halloumi when I was a little kid and I remember myself watching every little detail of the process. I was so fascinated with the whole halloumi idea that I always wanted to learn and make it at home. On the 29th of April my grandmother asked me whether I was interested in making halloumi. I gladly accepted and she came to my house with all the necessary equipment to show me all the steps of the preparation. In the meantime the Royal Wedding was broadcasted on TV so we decided to dedicate this halloumi treat to the newly weds :-). Below you will be able to find the full recipe along with a small video showing all steps of the recipe. 1) Pure the milk in a deep aluminum or stainless steel casserole and set on low heat (mark 1) for 5 minutes, increase the heat to 3 for another 5 minutes, then increase again the heat to 5 for 7 minutes and then again to 7 for another 5 minutes until the milk reaches the temperature of 38.9ºC. During this process keep steering the milk continuously with a wooden spoon. 2) Dissolve rennet with a bit of the warm milk and then add it to the milk. Stir it well with a wooden spoon and set aside for one hour. Then, shake gently the casserole, if you see that the milk in the casserole is still, then it means that you are ready to continue the halloumi procedure. If not, allow some more minutes. 3) Brake the milk curd gently with your hands. Do not over do it. Then push it to the bottom of the casserole until you see a yellowish liquid coming on top of the pan. 5) Allow to rest for 5’ minutes; then take the formed curd mass and with gentle moves turn it the other way down and place it again in the plastic cups and allow to rest of another 10’ minutes. Then, when the milk curd is well shaped into cheese, take it out of the plastic cup and place it on a clean pan for 15’ minutes. Any liquid left must be returned to the first casserole and will be used later on to cook halloumi. 6) In the meantime set the casserole on a medium heat with the liquid that was left from this process and add to it a cup of water. With a spoon remove any curd excesses that come to the surface of the casserole. 7) Press the halloumi cheese gently with your hands, wash them with water and put them one by one back to the pan in the hot liquid, on a medium to high heat (mark 6-7). With a spoon move the cheese gently while cooking in order to prevent any possibility of burning them. The cheese should not stick to the bottom of the casserole. 8) While cooking you will see curd coming to the surface of the casserole. Collect it with a spoon and put it in one of those plastic cups. This curd is what we call “anari cheese”, and you can eat it plain, salty or with sugar and honey. This anari cheese is ideal for people who are on a diet. 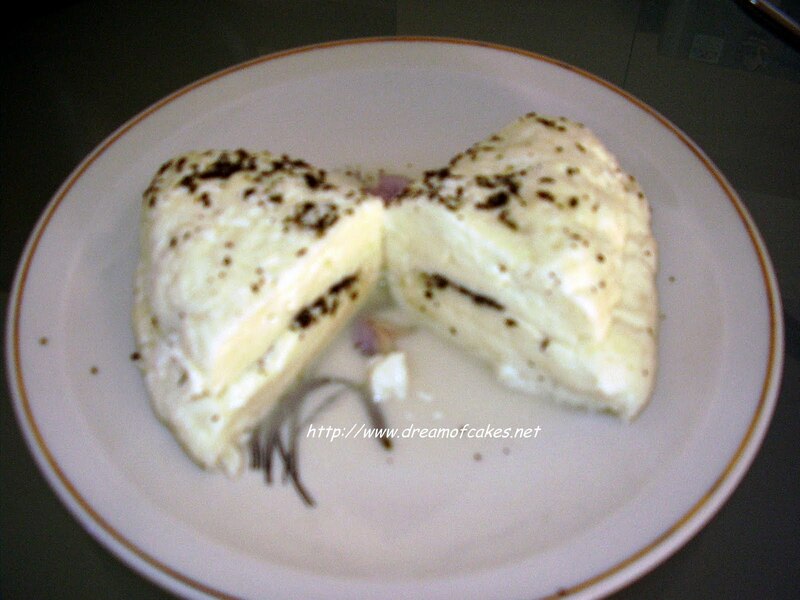 9) Halloumi cheese is cooked when the whole piece of the cheese comes to the surface of the casserole. This process takes approximately 10-15 minutes. Remove from the casserole and set aside to a plate or a bigger pan. 10) Season well with salt and dried peppermint. Keep them in a deep Pyrex covered with the liquid that you used to cook them. 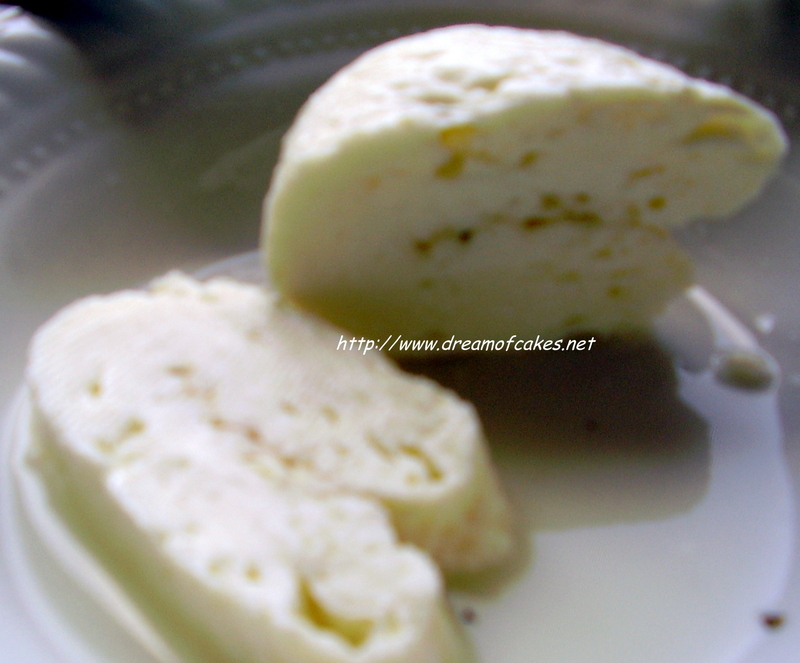 11) Always wash halloumi cheese with water before serving, otherwise the cheese will be very salty. There aren't many recipes out there that explain how to make this cheese at home, thanks for posting. I love making cheese at home! Thanks for a great recipe! I've never attempted to make a cheese before - but this sounds delicious. I love that your grandmother came over to teach you. Passing down the tradition! So wonderful. While we love halloumi cheese, sheep milk isn't easy to find where we are. So I guess we'll just have to keep buying our halloumi. We love it grilled! Very interesting. Now I need a day off and I have to find somewhere to purchase sheep's milk. I have a feeling it is not going to be easy in my neck of the woods. I love love love halloumi but never thought to make my own! Thanks for sharing your grandmother's recipe! you have quite a creative talent here just beautiful! I've always wondered how the salty squeakiness gets into haloumi, and now I know. Thanks for the recipe and informative video! This recipe and video is a world heritage site, to be included in the UNESCO World Heritage to be passed down to future generations! What a great post! I have made paneer - this will be my next cheese making endeavour. Thanks! Have enjoyed reading your recipe,there is a place in Limmassol that sells the hoops that makes it easier to form the halloumi,and also I find that the Danish rennet that you can get in Cyprus is the best for cheese making,unfortunately we cannot get it here in Australia,so I have to settle for a vegi rennet,not as good but it has to do. Hi Eli, if you keep halloumi covered in the salty water (and in the fridge) it will go bad in two or three months, probably more. Okay this is wicked cool. Love it. Hello. I use the paid version of google's blogs. I will check out about the affiliate link and let you know. for the meal!! But yeah, thanks for spending the time to discuss this topic here on your web site.